You can wear these alone or on top of an eyeshadow base. When worn alone, the colours are more muted, suitable for daytime wear. They can crease after a few hours, but in general they are long lasting. Using an eyeshadow base (I love MAC paint pots and Maybelline 24h Colorstay Eyeshadows) increases longevity and vibrance of colours. I tend to reserve eyeshadow bases for nights out. MAC eyeshadows come in a variety of textures and finishes. Veluxe pearls are shimmery shades that are super soft and pigmented. They are wonderful eyeshadows for the eyelids. Mattes and shimmers are great for the eyeshadow creases to create depth. Lustre finishes are prone to fall out so I don't have many of those in my collection. My signature look for a night out include Woodwinked (lid), Espresso (crease), Brule and a little bit of shroom for brow highlight. This combo is absolutely flattering on olive skintones, and together with golden skin, makes me feel like a Victoria's Secret fashion model! These are all gorgeous!! 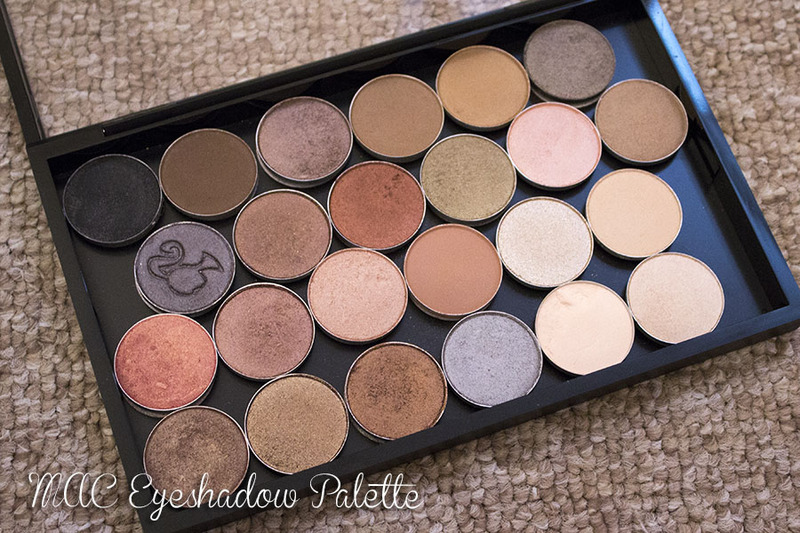 I love reading posts about people's MAC eyeshadows! There are sooo many here I want to add to my collection. My favorite MAC eyeshadows are Satin Taupe, Woodwinked, Expensive Pink, All That Glitters, Moth Brown and Sable. Been trying to use other eyeshadows lately to come up with more neutral looks lately. I love MAC eyeshadows, the quality is fantastic. You're very lucky to have such a nicely full palette :) I find them a little overpriced.